Bristol Grammar School is now an IB World School. BGS will be offering the International Baccalaureate (IB) Diploma to students in its Sixth Form from this September, making it the only co-educational school in Bristol to offer both ‘A’ levels and the IB. “While some students will be suited to the focus of A-level and Pre-U, others will flourish continuing a wider range of subjects. The addition of the IB to our curriculum allows us to offer a choice of pathways – the IB Diploma, and the A-level and Pre-U route – both of which develop advanced learning skills and styles, independence, and engagement with the wider community. 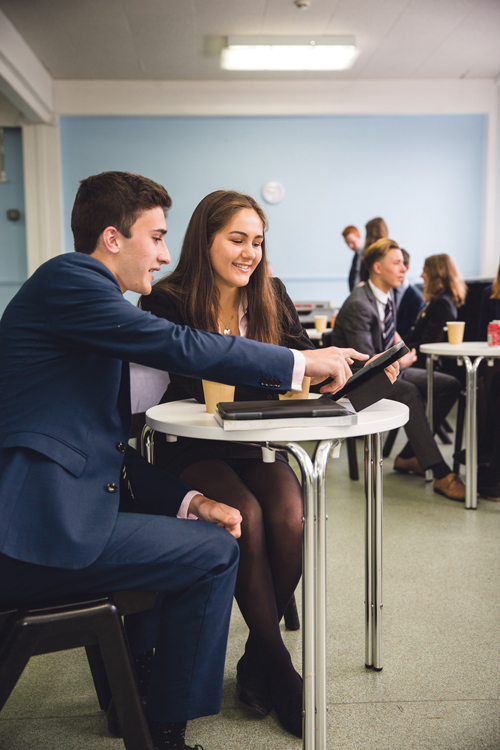 Commenting on the introduction of the IB alongside A-levels for its sixth form students, BGS Headmaster, Rod MacKinnon, said: “Our focus, as a learning community, is to develop students’ self-confidence and understanding in their learning within a broad and rich educational experience for all. That’s exactly what the Diploma will provide. To find out more about studying the IB Diploma at BGS, contact Katie Hillier-Swift on 0117 933 9630.